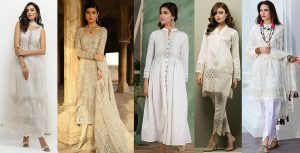 The saying “As deep as black” is quite true when it comes eye-makeup that women carry on formal and casual evening occasions. 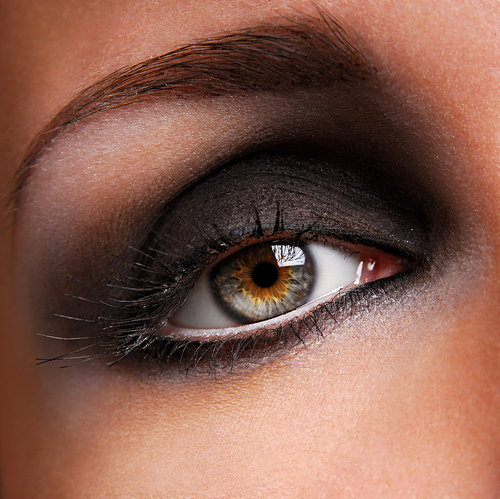 Adding the glints of Smokey black to your eyes, enhances the beauty and depth of your eyes. Eyes are the index of your face, so you can’t spare them from good outlook and matching hues of shades. Makeup artists from around the world do a great research to bring out the best of the eye-makeup that could be carried out with any dress and any color. 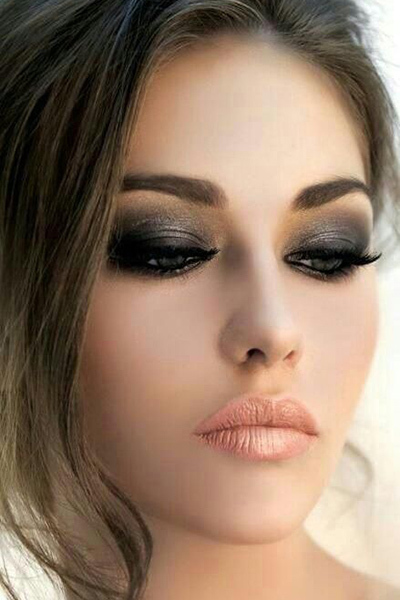 Black Smokey eye makeup is so amazingly popular and prevalent in all the fashion circles these days because it not only gives depth and boldness to your eyes but also it can be put on easily at any time you want. So ladies! If you have this craze for the bold and glitzy makeover, then stay tuned as we present you a complete tutorial about how to give yourself a bold, glamorous black Smokey eye makeup as good as professionals. 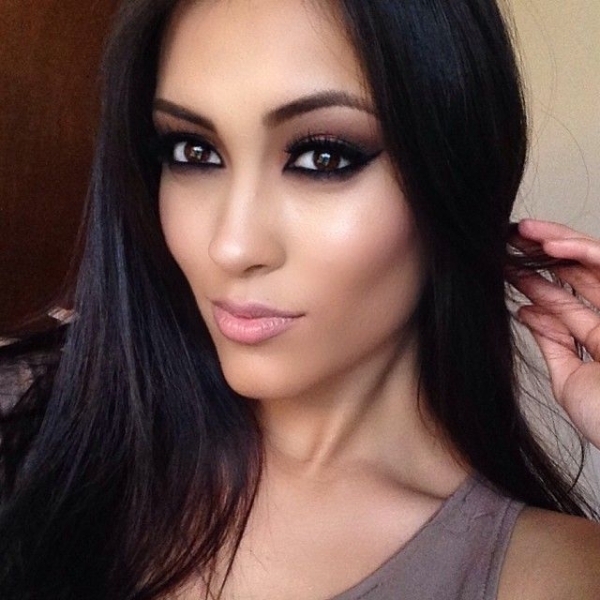 Let’s discuss the Bold & Beautiful Black Smokey Eyes Makeup Tutorial Step by Step. There are nine steps leading to a wild funky makeover in a couple of minutes. The things that you need to have the eye makeup are an eye concealer and primer, black liner or black pencil, smudge brush, mascara, lash curler and dark black eye shadows. Before putting on anything on your eyes make sure that you have cleaned your lids and the area around your eyes. Now initiate with a concealer over the lids, this will give the area around your eyes a lighter tone and a neat look. Moreover, the concealer and a little use of primer over the lids will act as a base, letting your makeup and eye shadows to stay for the longer period. Fill the upper lids of your eyes with the white base or primer and spread it evenly in all the directions. Smooth it out by a gentle rub of the smudging brush and tap it a bit to make the base stay on the lid. Now your eyes are almost ready to get all beautiful. At this stage, you need to put on a dark coat of dark black eye shadow, or you can even use a liner pencil above the lash line of your eyes. Keep in mind that you only need to fill in the portion of the lash line and the lid line. Try to keep it dark around the corners. You can also use various dark shades of black overlapping each other this will create a fascinating appeal. It’s time to blend the layers of shades or liner that you have applied on, in a smooth manner. Keep the movement of your brush from outward to inward and around the lid line to give more depth than usual. Let it settle on your lid. 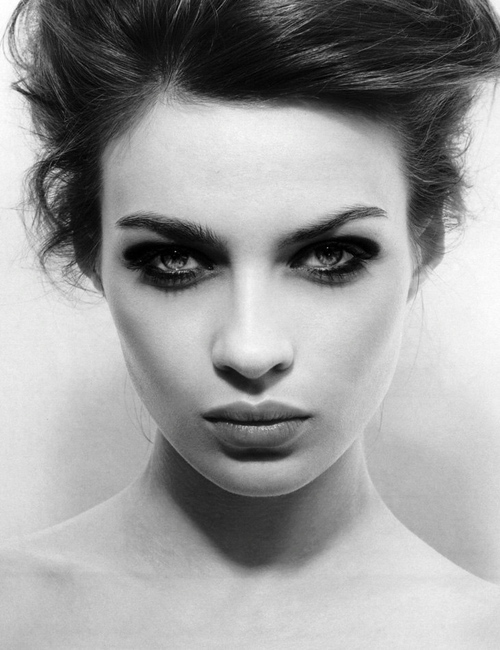 Avoid over smudging and do not play with the natural shape of your eyes. Try to go with natural curves of eyes. 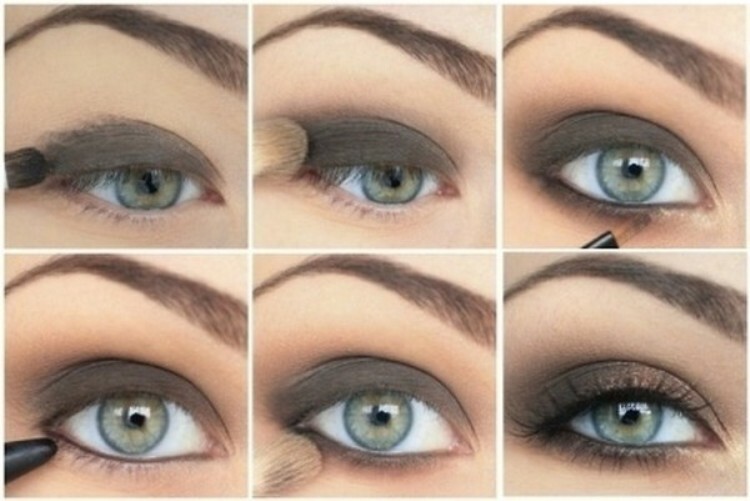 This step is most vital one in the application of almost all the eye makeups, so you need to learn it with extra care. Highlighting your brow bone gives a prominence to your eyes, makes them more visible. You only need to use some lighter tone of shades like in soft gold with shimmer or a highlighter to apply to your brow bone. And then smudge in too but keep it above the lid line. To add the sharpness and boldness of your eye-makeup now darken up the area around the corners, you can even add more of the shades over the previous layer of shades. Try to use metallic shades this time that will give your eyes shine and glare. 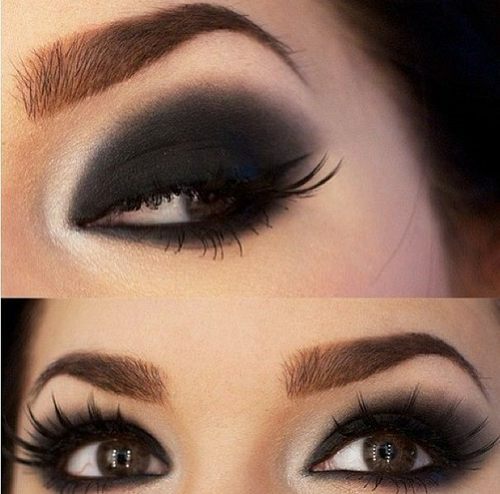 One added advantage in Smokey eye makeup is that it goes all around your eyes to make them more prominent. 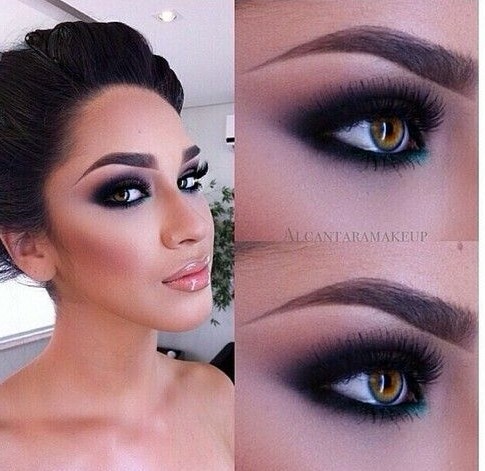 So you also need to apply black shade or liner over the lower lid of the eye but try to keep it around the corners. Then smudge it out too. This time, smudge from inward to outward going around the corners. Now take a black liner pencil and then blacken out your lower lash line. 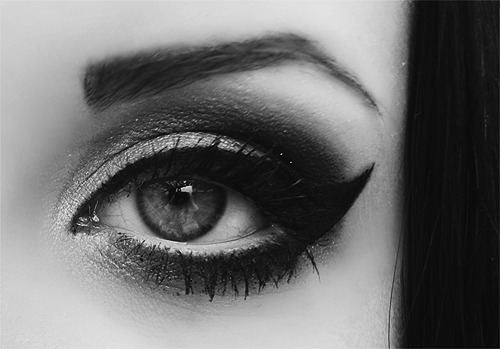 Fill it up with the gentle movement of black pencil over the inner of the lower lash line. It will look blending with your blacken lower lid. Accentuate your eyes by applying the thick layer of mascara over your upper and bottom lashes. But before that try a little curling of your lashes by using a lash curler. Now put on some mascara and let it dry. It will give the final finishing touches to your eye-makeup. Voila! 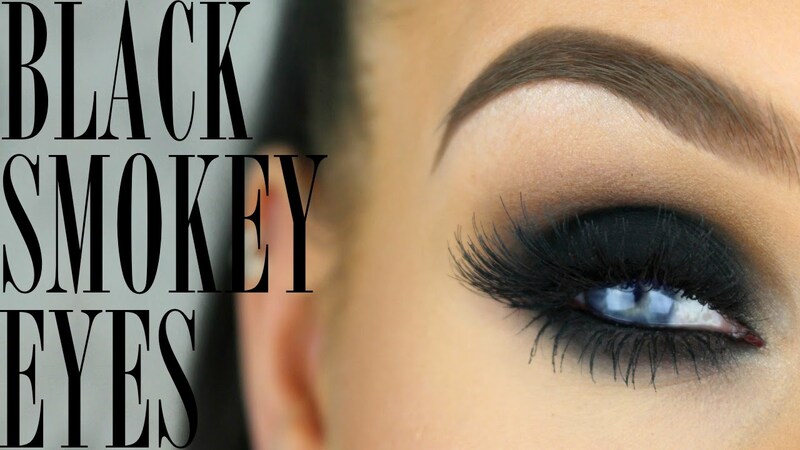 Here comes the perfect Black Smokey eye makeup that you ever wanted. Practice the above mentioned steps and you can give yourself a fascinating expert style makeover at your home.